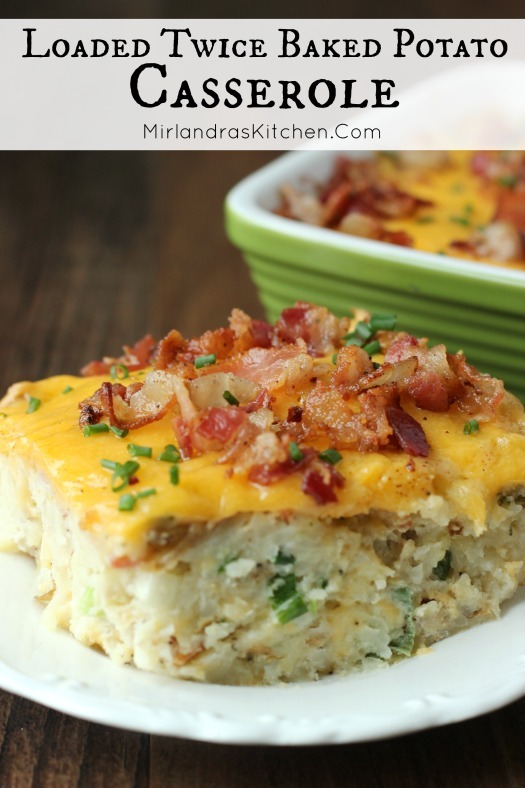 This Loaded Twice Baked Potatoes Casserole is delicious, easy to make, and full of bacon. Try my secret trick for amazing texture! I serve this all the time as a side dish or main dish. It is also a favorite of ours for holiday dinners! The history of this dish goes way, way back. Sometime during my teen years I was invited to Thanksgiving dinner at the home of a professional chef. She was a friend of friends who graciously included us and I have long since forgotten her name. Her potatoes, however, are imprinted on my very soul. Instead of traditional mashed potatoes, she served a perfect twice baked potato casserole. The potatoes were savory and had a unusually delightful texture for twice baked potatoes. Her secret, it turned out, was grating the baked potatoes. I love how this protects the texture of the casserole and helps prevent it from getting gluey. I ended up developing my own version of the dish and it has been a family staple ever since. Once the potatoes are baked and cooled the casserole prep takes less than 20 minutes. 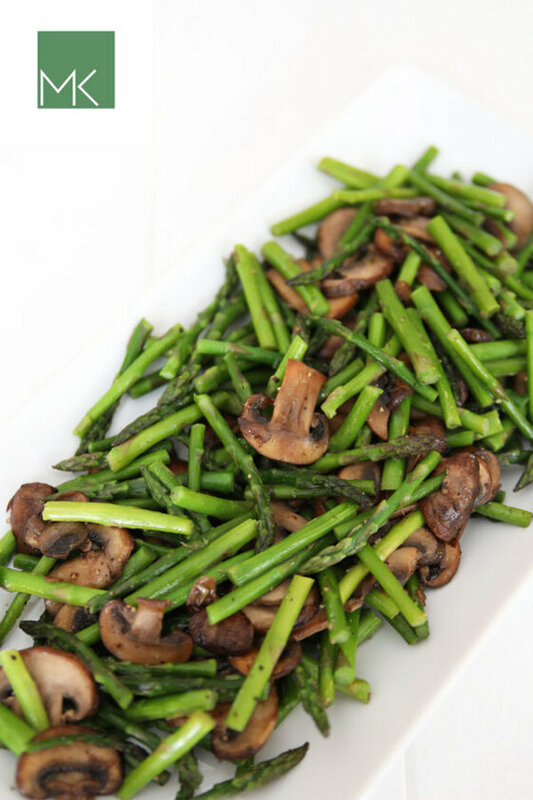 It is a great side dish, main dish, and of course it goes very well with a holiday turkey, ham or beef roast. Tools In This Post: Fresh ground pepper makes a big difference in cooking – this dish in particular! I love this cost efficient and sturdy little grinder from OXO. It is easy to use, takes minimal hand strength and works fast. Note about this post: I originally published this post several years ago and have recently updated the photos and made minor changes to the recipe. Enjoy! 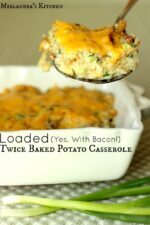 This Loaded Twice Baked Potatoes Casserole is delicious, easy to make, and full of bacon. Try my secret trick for amazing texture! Preheat oven to 400 F. Wash the potatoes. Make several small slits with a paring knife. Place directly on oven rack and bake for 60-90 minutes until tender. Refrigerate until chilled. When the potatoes are chilled, begin assembling the casserole. Preheat the oven to 350 F. Grease a 9”x9” or similar sized casserole pan and set aside. Use a kitchen scissors or sharp knife to cut the bacon into 1” pieces. Fry bacon in cast iron or other heavy frying pan over medium-high heat for 2-3 minutes until it is starting to crisp. Use a slotted spoon to remove the bacon from the pan and put it on paper towels to drain. In a large mixing bowl combine sour cream, chicken bouillon, milk, salt, pepper and white pepper. Whisk together. Mince tops and bottoms of green onions and stir into the sauce along with the bacon and about 1 cup of the cheese. Remove any blemishes from the potatoes and shred using a hand grater with large holes. Gently fold potatoes into the sauce. (Or toss together with your hands). Do not over mix or casserole can become starchy. Gently spread the mixture into prepared casserole pan. Scatter the remaining cheese on top and bake in the preheated oven at until hot through and the cheese on top is melted and just beginning to brown around the edges, 25-30 minutes. Light sour cream and reduced fat milk help make this a lower fat recipe. You can use higher fat ingredients if you like. Both will work. Don't substitute margarine for the butter or a low fat cheddar cheese. The results will not be as good. Love potatoes? 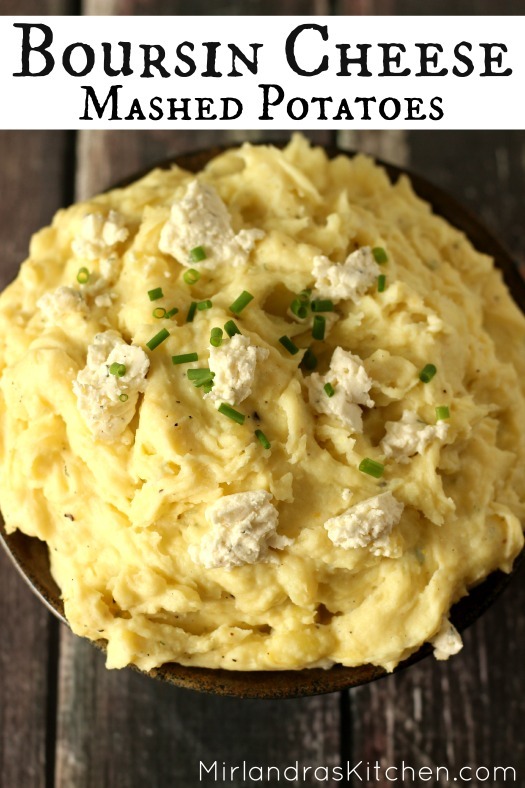 These Boursin Cheese Mashed Potatoes are delicious and perfect for special occasions and holidays! Everything’s better with bacon, isn’t it :)? Love me a casserole! I’m not a fan of baked potatoes, but I’ll eat them in a casserole! Totally making this for dinner tonight! I made this tonight for guests as a side to pulled pork sandwiches. It was AMAZING! Everyone raved about it! And it was great for entertaining mid-week… I did all of the prep last night (baked the potatoes, cooked the bacon, and chopped the onions), so when I got home from work all I had to do was grate the potatoes, mix, and bake. This is definitely going on my list for the holidays, too! Yeah! I am so glad you liked it. It is one I love to make with ham. You are right that mid week is so super easy! Well that is my fault! I bet it tasted awesome with the butter. I updated the recipe recently and removed the butter(I used to use about 1/3 cup). Looks like I didn’t remember to pull it out of the instructions. I have fixed that now! Thanks for asking and sorry I didn’t have the correct information in there. I hope it turned out great for you! I’m making your recipe now & was wondering if you shred the potatoes with the skin still on or do you peel the skin off before shredding?? I’m excited to try this it sounds so yummy. Thanks! I have done both. Usually I take some of the skin off and leave some on. I don’t like it with all the skin but it is more of a personal preference. I have done it both ways and however you like it will work out great!